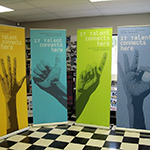 There are countless applications for vinyl graphics used in business promotion. From vinyl window lettering to vehicle wraps, vinyl graphics are some of the best ways to advertise your brand both on-site and on the road. 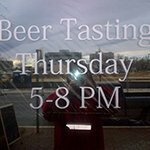 Common business uses for vinyl graphics include adding necessary information to storefronts like store hours and accessibility, decorating lackluster window displays, marketing a special event or sale, or even taking your message on the go with custom vehicle wraps and graphics. Our printable vinyl comes in a variety of weights, colors, and styles including transparent vinyl, colored vinyl, reverse clings for placement inside of doors, double-sided clings, and more! To know what the best option is for your business, talk to a vinyl graphic specialist at Minneapolis Signs. Vinyl graphics set a professional tone for your business. One common mistake of some businesses is having a storefront with messy, handwritten signs plastered all over the door giving confusing and mixed information. This automatically gives an impression that the business does not care about the image they project towards their customers, lacks business experience, or that they just simply don’t plan on staying in the business very long. Because there is specific information that your clients need to know upon entering your business, vinyl graphics have become a necessity for any starting retailer. By giving your clients this information in an organized and efficient manner, you allow your business to educate existing and future customers in a professional way. Vinyl graphics lets you add unobtrusive signage elements to your doors and windows that don’t distract from your overall brand messaging. Vinyl graphics are suitable for any of these elements. 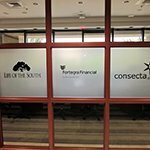 We can provide you with ideas for appropriate sizing, fonts, and materials to ensure that your vinyl window clings are easy to read without obscuring visibility into your business. If you are looking for a hassle-free, efficient, and professional way to upgrade your storefront, vinyl graphics are easy to install, remove, and update. This makes them an ideal option for seasonal window displays. 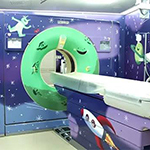 Vinyl graphics can add vibrant colors, environmental elements like a falling leaves or snowflakes, trees, or can even deliver a show stopping full-window decoration. Thinking of installing permanent window coverage for a professional building like that of a law firm, doctor’s office, or real estate office? We also create full cut vinyl sheets that give a frosted or etched glass feel, letting the light shine through but not compromising your clients’ privacy. 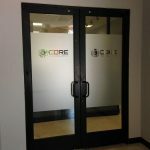 Commonly, these includes logos or emblems that advertise your brand in a classy yet functional way that is also cost-efficient compared to a permanent etched-glass window. 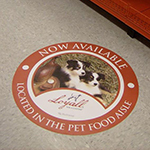 To create a noteworthy entrance, or give assistance to customers in finding the right areas of your business through the use of directional signage, vinyl floor graphics can be used instead of or in addition to traditional wall signage. Regardless of the size of your project, our design experts are ready to help you choose the right design and product that will best suit your business needs. We even make floor graphics for carpet, tile, concrete, or any other flooring surface! 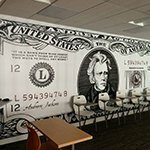 From design to installation, we will help you in all aspects of vinyl graphic design. If you have a ready to print file or just an idea, we will brainstorm with you to come up with the best ways to create the impression you want your business signage to convey. Our design experts will discuss the different types of vinyl medium, provide usage examples and durability predictions, and finally, determine which the appropriate choice for your project is. Before producing your sign, a sample (or proof) will be produced so you can be sure that what you are getting is exactly what you want. After the production is completed, we guarantee the installation in order to ensure the durability of your vinyl clings and graphics. 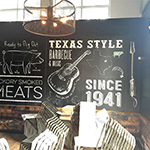 If you are ready to get started, have an idea for a project, or just want to learn more about our process or pricing, contact Minneapolis Signs for a Free Consultation with a Vinyl Graphic Design Expert at (612) 260-5166.